It is one of those things that is a necessary part of home ownership. You must have some means of getting rid of your rubbish. Whether it is general waste, green waste, or garden cuttings, A1 Cheapest Rubbish Removals offers you the absolute best prices and outstanding service in the Melbourne region. As rubbish removalists in Melbourne, we service within a 15km radius of the central business district. That area includes South Yarra, Yarraville, and Brunswick. With so many other things to worry about as a homeowner, make life a little easier and call us at A1 Cheapest Rubbish Removal to take care of your rubbish. As rubbish removalists in South Yarra, A1 Cheapest Rubbish Removals offers customers accurate up-front pricing. You can call us on 03 9017 1117 for a free no obligation quote. We even offer same day service if needed. Call for a price and then schedule same day pickup for regular waste, general junk, or for renovation debris. We will arrive at the scheduled time and remove your waste. We will even load it up for you; there is no hassle. Working with professional rubbish removalists like us makes life easy. After we remove your waste, we will separate and sort it so that it can then be sent off to different processors for recycling. Our goal is to recycle as much as 80 percent of all of the waste that we process. We take recycling seriously and it has been a huge part of our overall efforts ever since we started our operations in 2004. By recycling items such as cardboard, plastic, timber, steel, and more, we are able to keep our costs down which we then pass on to our customers. We continue to remain committed to environmental sustainability and to avoid sending things to landfill that can be recycled. 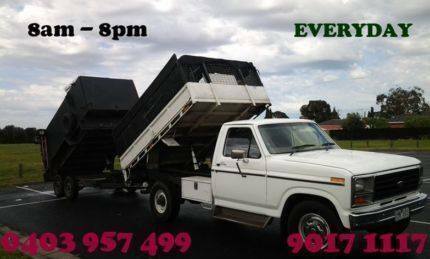 In addition to rubbish collection, we also offer skip bin hire in the Melbourne area. Most bin hire does not include loading, but A1 Cheapest Rubbish Removals offers all customers free loading (subject to access and does not include concrete, brick, tile, or soil loads). 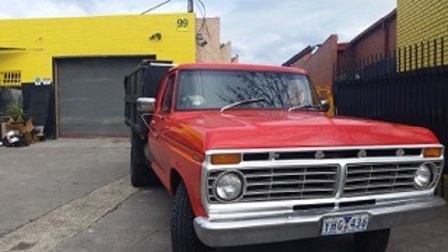 Unlike other rubbish removalists in Yarraville, we only charge for what we take away. If your bin is too small or too big, it doesn’t matter. We charge you by the cubic metre for the items that we remove. If you have a home to clean out or a renovation project coming up, save yourself the hassle and call A1 Cheapest Rubbish Removals and hire a skip bin. When you have unwanted rubbish that needs to be removed, do yourself a favour and call A1 Cheapest Rubbish Removals. We can take away most household items, cardboard, toys, bikes, electronic waste, furniture, and much more. We offer a professional, friendly service that includes loading your rubbish for you. We have been and continue to remain committed to the environment and strive to recycle as much as possible. A1 Cheapest Rubbish Removals operates seven days a week for our customers’ convenience and the bottom line is that we do more while you pay less. To learn more or for a free quote call us on 03 9017 1117 or 0403 957 499. If you prefer, you can also reach us by email at a1rubbishremovals@gmail.com.